In today’s digital world, small businesses have much more to worry about than just products and services. This page contains guides for many of today’s challenges for small businesses, online and off. Check back often as our network of experts continues to create new resources. The Veterans Business Outreach Program (VBOP) is designed to provide entrepreneurial development services such as business training, counseling and mentoring, and referrals for eligible veterans owning or considering starting a small business. The SBA has 15 organizations participating in this cooperative agreement and serving as Veterans Business Outreach Centers (VBOC). Assisting Veterans, Active Duty, Guard and Reserve Members in the formation and expansion of their businesses. 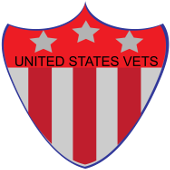 A strategic initiative of the International Franchise Association “to provide access and opportunities in franchising to our nation’s Veterans and their spouses”.